2015 Power List: The Richmond Food Industry | Food and Drink | Style Weekly - Richmond, VA local news, arts, and events. Scott Elmquist In October, Gov. Terry McAuliffe gives Stone Brewing Co. president Steve Wagner a Virginia flag to fly over the company’s new Richmond brewery. The public incentives of the deal have become a sore spot for some local players in the industry. When GwarBar emerged from the Antarctic tundra in January, buckets of blood arrived alongside artichokes and duck confit. Yes, Richmond dining in 2015 means that even a beloved metal band’s themed restaurant needs to bring more than shock value to the table. A place like GwarBar is exactly the kind of high-profile venture that makes Richmond an attractive destination for anyone who wants to see the unique dining a city can offer. Gone are the days of Ipanema Cafe serving as a beacon of culinary potential on Grace Street. The bar is raised and Richmond is delivering. By the end of this year, one of the country’s most popular craft breweries will finish its first East Coast location, in Fulton Hill. After an extensive search, San Diego-based Stone Brewing saw kindred spirits in Richmond’s beloved dining and brewing entrepreneurs. But Stone also saw something not offered on the same scale to other Richmond establishments before: The public’s splitting the check. When the combined brewery and restaurant opens, it will come with $31 million in city and state incentives attached. While justified by the administration of Mayor Dwight Jones as a job and tourism booster, intended to return the investment, the gesture proved unpopular with many business owners. With such a game-changing investment yet to be realized, examining who holds power in Richmond’s food scene means looking at those who turned the city into the kind of place such a large operation would choose to call home. Pioneers such as Johnny Giavos put faith in the Fan District and Grace Street to support no-frills, neighborhood-oriented dining without ever dreaming of the millions of dollars the city would pour into a project like Stone. Giavos planted his family on Main Street with the Sidewalk Café 25 years ago. Richmond restaurants often need more flash to succeed in a town chock-a-block with dining options. Giavos says the influx of “craft” culture and breweries is sending Richmond too far from what neighborhoods need. He says Sidewalk, for example, has used local produce from its inception. Stephen Robertson, marketing director for Blanchard’s Coffee, says the changing definition of what value means in the food world and a growing population of entrepreneurs has contributed to the explosion in dining and craft beer in town. Those who dared a decade ago are enjoying strong reputations among locals and food explorers alike. Giavos continues to build out his restaurant holdings, with new markets at both Stella’s in the West End and Perly’s downtown. While he says he remains committed to Richmond, opening a second Kuba Kuba in Henrico County and building a house in the country opened his eyes to how things are done elsewhere. 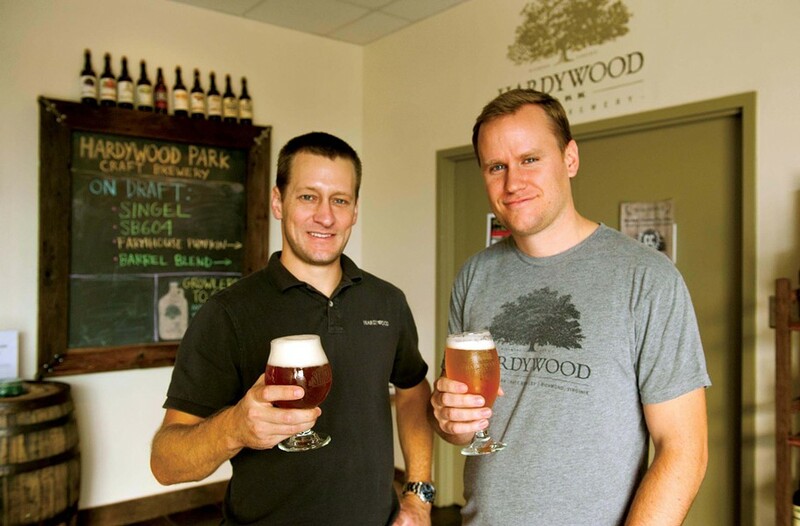 As the public learned more about the city’s proposed deal with Stone, it also learned about the pioneers at Hardywood Craft Park Brewery battling the city over $50,000 in back taxes. 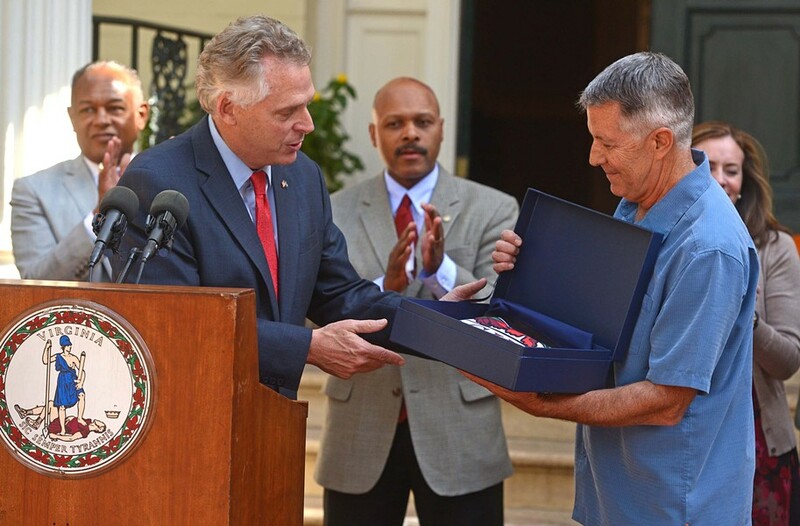 In July, Hardywood announced alongside Gov. Terry McAuliffe that its expansion campus would be located in Goochland County. Owners Patrick Murtaugh and Eric McKay didn’t respond to a request for comment, but the $28 million plans located outside city limits speak volumes. Both Giavos and Gregory note that taxes are much lower there. At least it stayed in Virginia, and showed the economic weight the industry can wield. With Stone a done deal, the current players in Richmond’s food scene are in wait-and-see mode. Giavos promises to never sell Stone at his restaurants. Duron Chavis, who works in community engagement at Renew Richmond, watched the city drum up a deal for Stone with lightning speed even as plans for tackling the city’s food desert issues remain listless. We may not know yet how Stone’s arrival will affect the city, but Richmond’s stalwarts insist that the shape of the food scene to come will be driven by entrepreneurs with eyes on the next neighborhood rather than bi-coastal wheeling and dealing. Giavos says his businesses employ more than 350, and that number likely will grow. Katrina and Johnny Giavos started their local restaurant empire 25 years ago with the Sidewalk Café. For two decades, Stella Dikos, Johnny and Katrina Giavos, and their son, Constantine, have changed Richmond block by block. Beginning with the Sidewalk Café, their empire has grown to include the newest incarnation of Dikos’ Stella’s, Kuba Kuba, Kuba Kuba Dos, Kitchen 64 and the Continental Lounge. 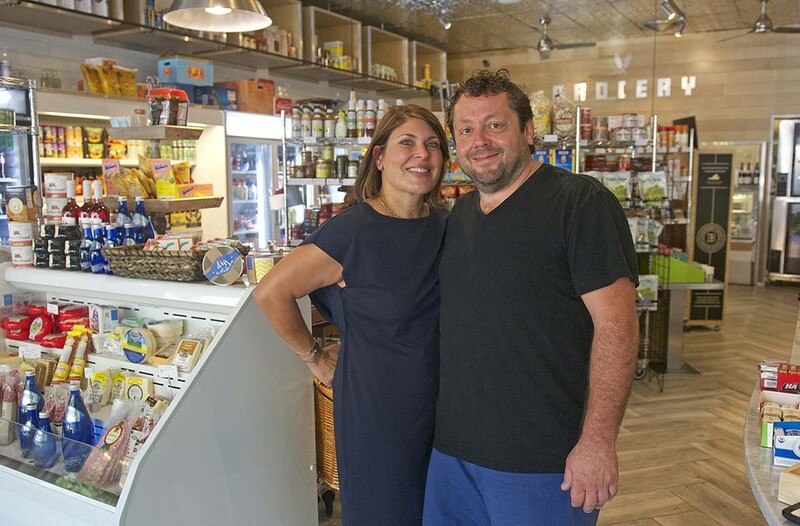 Expanding outward, they’ve made new neighborhoods home and rescued beloved Perly’s Restaurant & Delicatessen from closure, all while adding an innovative market concept to the mix. Johnny Giavos says he sees Richmond’s food scene as family first, inclusive of the nearly 350 people the restaurants employ. He turns up his nose at slick marketing and has never cozied up to city leaders for a sweetheart deal. His family has built Richmond’s most beloved brands on sweat and intuition. While neither has hit 40, Richmond’s beloved craft masters have acquired the political acumen needed to grow their business at critical junctures. When state law forbade stand-alone breweries as bars, they fought to change it, helping open doors for the foamy explosion of breweries in town. And when the Jones administration hit them up for back taxes that were questionable — while courting a major brewer from the West Coast with millions of dollars in incentives — they struck their own deal for a $28 million campus in Goochland. Croxton ushered in a kind of magnetism when he helped take over his family’s oyster business and opened Rappahannock downtown. He brought celebrity chefs Mike Isabella to Graffiato, Bryan Voltaggio to Family Meal in Willow Lawn, and has put a cuisine twist on a key Richmond contribution to global culture with GwarBar. And the expansion continues: In addition to the nine restaurants he owns out of town, he’s soon opening a space next door to Rappahannock, Rapp Sessions. Brown gave the city’s emerging brewery scene the wings it needed to compete shelf to shelf with the international heavyweights across town. The city’s largest distributor didn’t rest on its Buds. Brown’s Taste the Local campaign — and the accompanying growth of local beer culture — played a part in making Richmond attractive to Stone Brewing. The restaurant scene has benefited as well, with around 1,300 restaurant clients in a market from Gum Spring to Petersburg now stocking local product to keep up with demand rather than as an experiment. Like the Giavos family, Feather started her first restaurant without knowing for sure whether a scene would blossom around her. But instead of waiting around, she took matters into her own hands, holding potlucks for fellow chefs free of the stress and jealousies usually involved in dining in each other’s restaurants. The relationships forged in those potlucks four years ago continue to play out today as the city’s dining scene, and Feather’s empire continues to grow. Southbound is the latest “it” restaurant, but Gregory and Sparatta have well-established credentials from helming the Roosevelt and Heritage, respectively. The pair’s farm-to-table, family-oriented atmosphere has won accolades across the country, most recently from Bon Appetit’s nomination as one of the country’s 50 best new restaurants. Gregory also is a three-time James Beard semifinalist. Pick, three years into his role as chief executive, continues to steer the region’s highest-impact hunger relief organization into more ambitious partnerships across the region. That includes the RVA Food Collaborative, which aims to unite various initiatives into one planning process. The food donations continue to grow as well, with the 7-millionth meal delivered through its Meals on Wheels program in May. Chavis’ role at urban agriculture initiative Renew Richmond and work with Virginia State University continues to be among the most innovative in the region. Through Renew Richmond, he’s spearheading a campaign that puts 20 pounds of food in the hands of Richmonders for $20 at pop-up farmers’ markets in both North Side and South Side. Eight years after launching the South of the James Farmers Market, Atkinson’s efforts at connecting local farmers with their neighbors continue to spread. The market began accepting Supplemental Nutrition Assistance Program payments (SNAP) in 2011. She launched the Sunday Brunch Market in Glen Allen and a farmers’ market in Colonial Beach this summer. Meanwhile, the original continues to earn national attention — Cooking Light named it one of the country’s 50 best this year. While Robertson didn’t found Blanchard’s Coffee, he is both the company and coffee’s No. 1 acolyte. You’re as likely to find Blanchard’s beans in Kroger as you are on the corner coffee shop, with Robertson having secured deals with major grocers in both Richmond and Washington. That ubiquity means the company continues to expand, with an impending move from a 2,400-square-foot facility in Manchester to 6,000 square feet in Scott’s Addition.